Get thousands of quality and real website visitors. This will affect your website rating in website raters, such as Alexa and also Google SERP should be boosted a bit due to your website visitors. 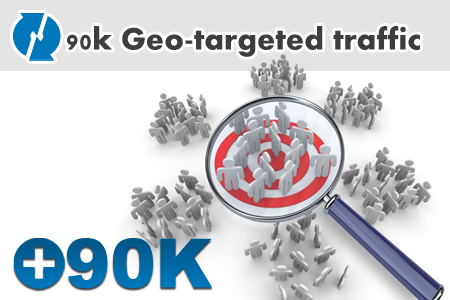 All visitors will be from one or more targeted country you will choose, this will boost your local ranking fast and also effect on Google rank.